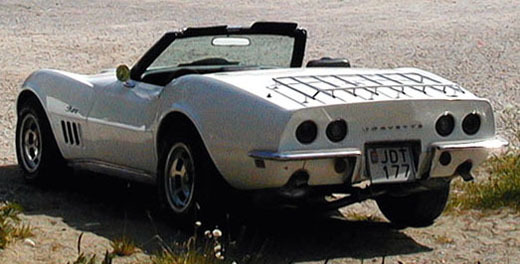 The 1969 Corvette looked like the 1968 except that the 69 had optional sidepipes. The ignition switch was moved to the steering column and the steering wheel diameter was changed from 16" to 15". The wheel width was changed from 7" to 8". The name Stingray reappeared. Small Block engine increased from 327 CID to 350 CID.